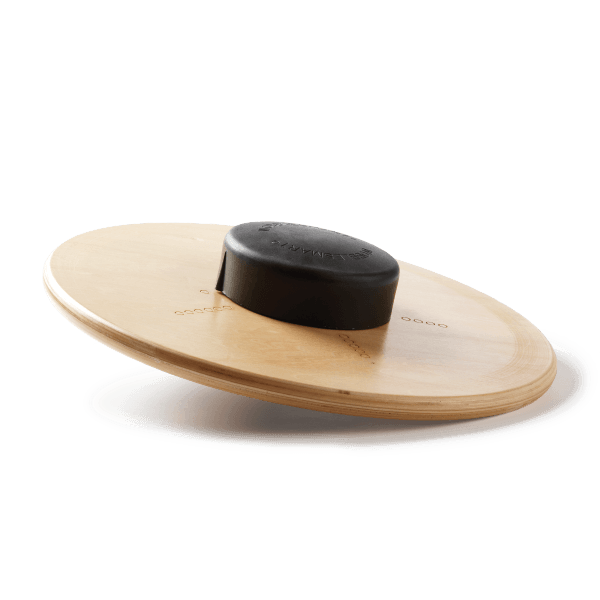 Improve balance and coordination with this wooden wobble board featuring six adjustable levels for variable challenge. 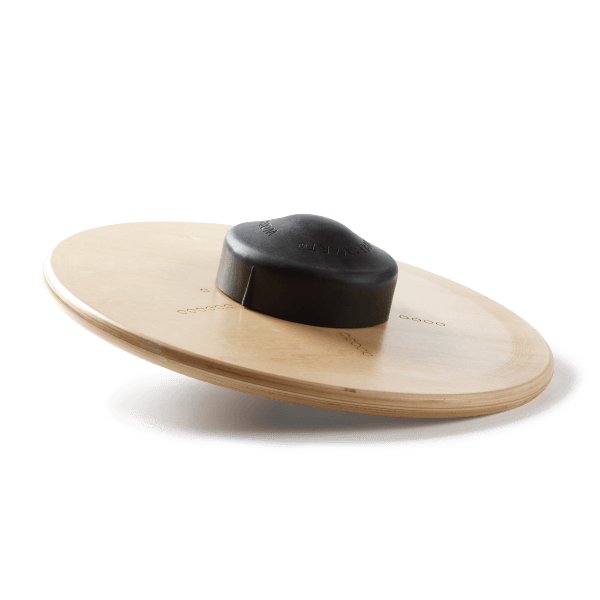 Wobblesmart was developed by physical therapists to improve balance, stability, core strength and agility. 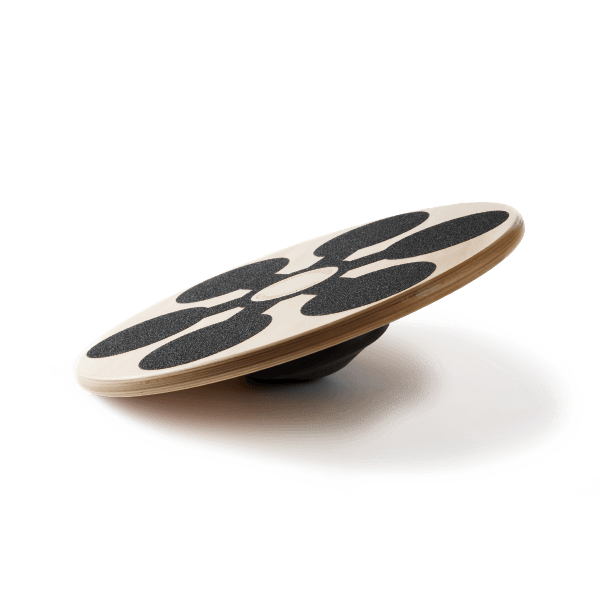 It combines the best features of all wobble boards in one unique design; a wooden base and adjustable rubber dome make it both durable and easy to use. 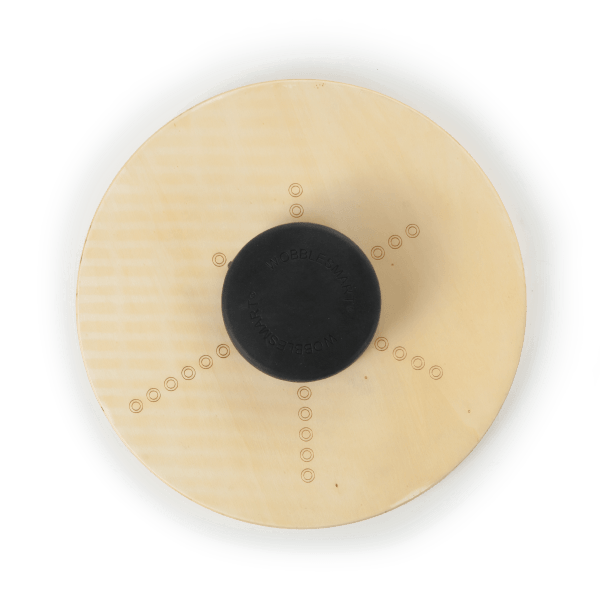 Wobblesmart offers a true challenge for therapy patients and athletes of all abilities. Simply rotate the rubber dome on the bottom to adjust between six challenge levels. The clearly marked indicators allow you to quickly see which level you’re on and easily measure improvement. The rubber contact to floor ensures anti-slip security while the grip surface allows for stable footing, letting you focus exclusively on the exercise being performed. Includes list of basic exercises with instructions. Base diameter measures 15 1/3”. Supports up to 440 pounds.